The Eurasian Economic Union (EAEU) celebrated its four-year anniversary in January 2019. Kazakhstan as part of the EAEU shares all its achievements with other countries of the economic union, including the increase in trade turnover. The volume of mutual trade of Kazakhstan with the EAEU states in January-December 2018 in monetary terms amounted to $19.1 billion, which is 7.5 percent more than in 2017, according to the Committee on Statistics of the Ministry of National Economy of Kazakhstan. In particular, the volume of Kazakhstan's exports to the EAEU countries in the reporting period in monetary terms totalled $5.9 billion (which is 12 percent more than in 2017), imports - $13.2 billion (+ 5.6 percent). In the total volume of the Kazakh foreign trade turnover with the EAEU countries, 91.8 percent accounts for Russia, 4.5 percent for Kyrgyzstan, 3.6 percent for Belarus and 0.1 percent for Armenia. Earlier, Kazakh Minister of National Economy Timur Suleimenov said that the implementation of the basic agreements on the free movement of goods shows positive results of mutual trade of the EAEU states. The influx of investments from the EAEU countries is also growing. "Following the results of three quarters of 2018, the inflow of investments from the EAEU countries increased by 31 percent - from $941.5 million to $1.2 billion," Suleimenov added. Kazakhstan officially entered the Customs Union with Russia and Belarus on July 1, 2010. Since that time, Kazakhstan’s trade policy has been heavily influenced by regulations promulgated by the Customs Union and its governing body the Eurasian Economic Commission. On May 29, 2014, Kazakhstan and its Customs Union partners signed a treaty to create a common economic space known as the Eurasian Economic Union (EAEU). The EAEU is expected to further integrate their economies, and provide for the free movement of services, capital and labor within their common territory. 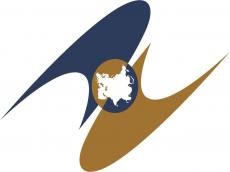 The government of Kazakhstan has asserted that EAEU agreements comply with WTO standards. In October 2016, a free trade zone (FTA) between the EAEU and Vietnam was launched. Kazakhstan benefits from launching an FTA with Vietnam. In 2017, Kazakhstani-Vietnamese trade increased by 48 percent to $ 542 million, including exports from Kazakhstan, grew by 63 percent due to an increase in supplies of Kazakh food products and agricultural commodities, as well as metals and products from them. By 2025, common markets for gas, oil and petroleum products will be formed within the EAEU framework.